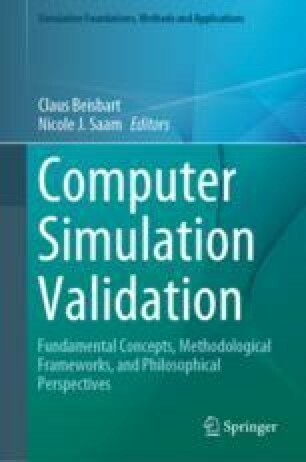 Whereas experiments and computer simulations seem very different at first view because the former, but not the latter, involve interactions with material properties, we argue that this difference is not so important with respect to validation, as far as epistemology is concerned. Major differences remain nevertheless from the methodological point of view. We present and defend this distinction between epistemology (the domain of scientific operations that are justified by rational principles aiming at improving current knowledge) and methodology (the domain of scientific operations that are governed by rules, not all of which are grounded on rational, explicit principles). We illustrate this distinction and related claims by comparing how experiments and simulations are validated in evolutionary studies, a domain in which both experiments in the lab and computer simulations are relatively new but mutually reinforcing.